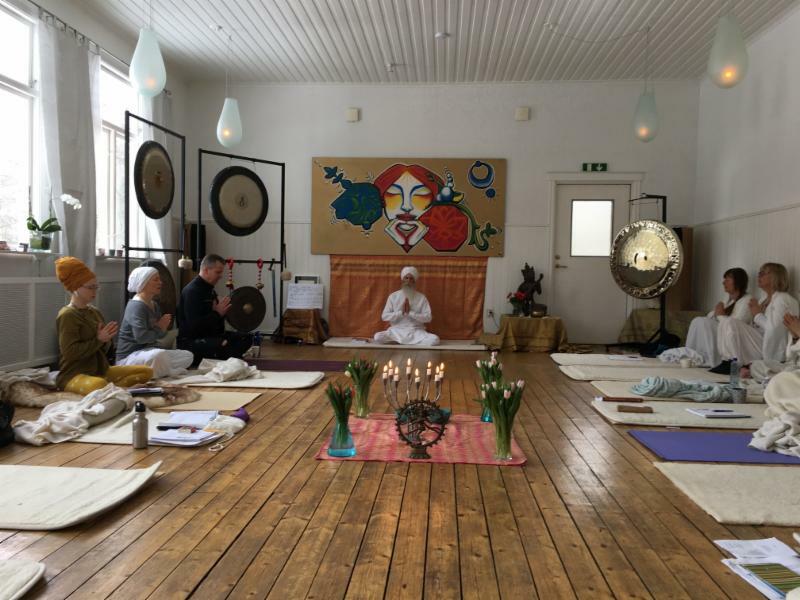 I recently returned from teaching Mind and Meditation in Sweden, Copenhagen and Connecticut and I want to share my incredible experience with you through the pictures below. 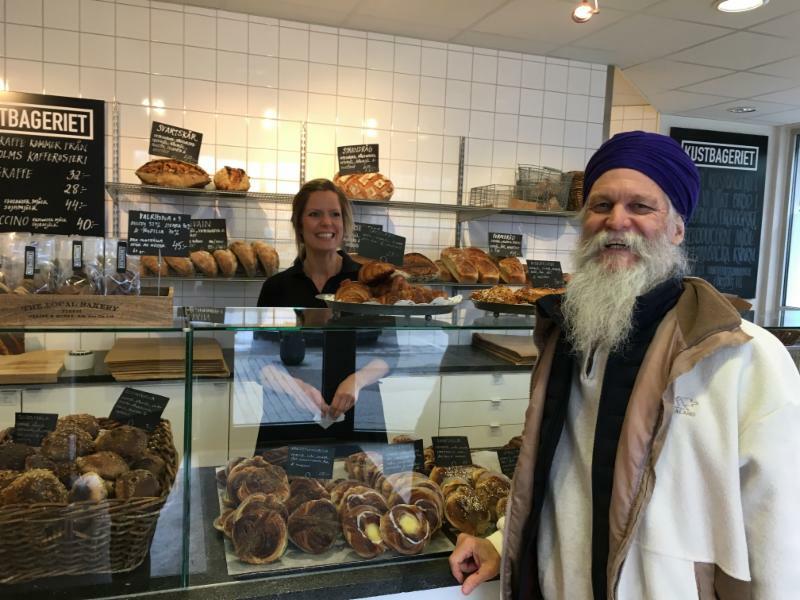 My first stop is a Swedish bakery! Mangalam, a sacred space to teach Mind and Meditation. Live music for early morning meditation. 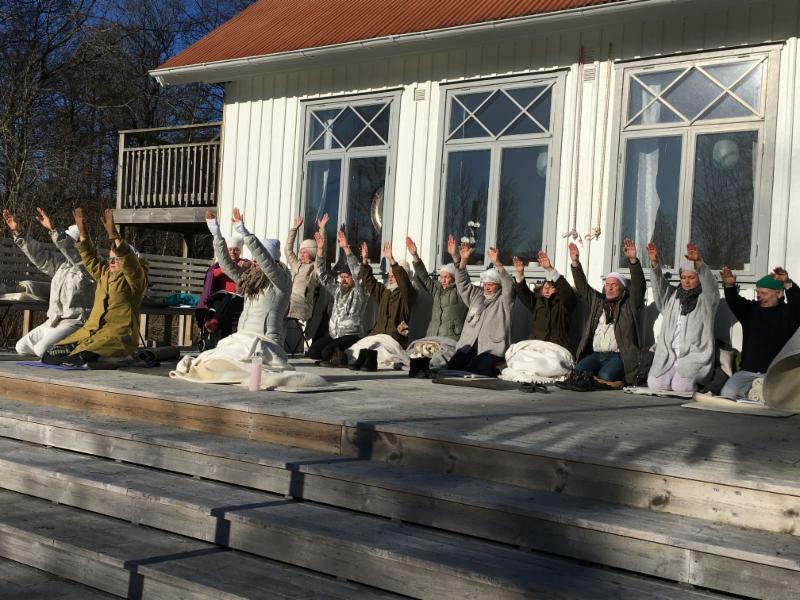 Hearty Scandinavians meditating outdoors at 40 degrees. My cozy cottage; I sat here working on my next book. 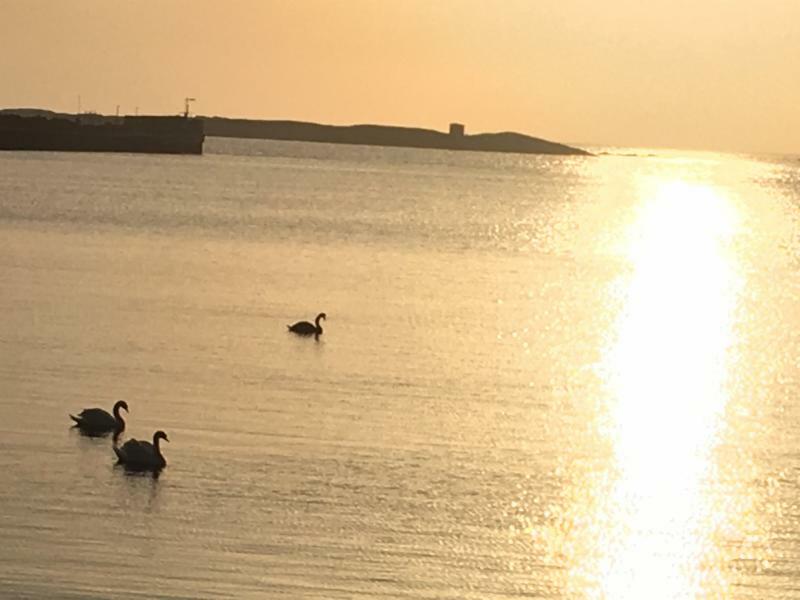 Sunset with swans on my last evening in Sweden. 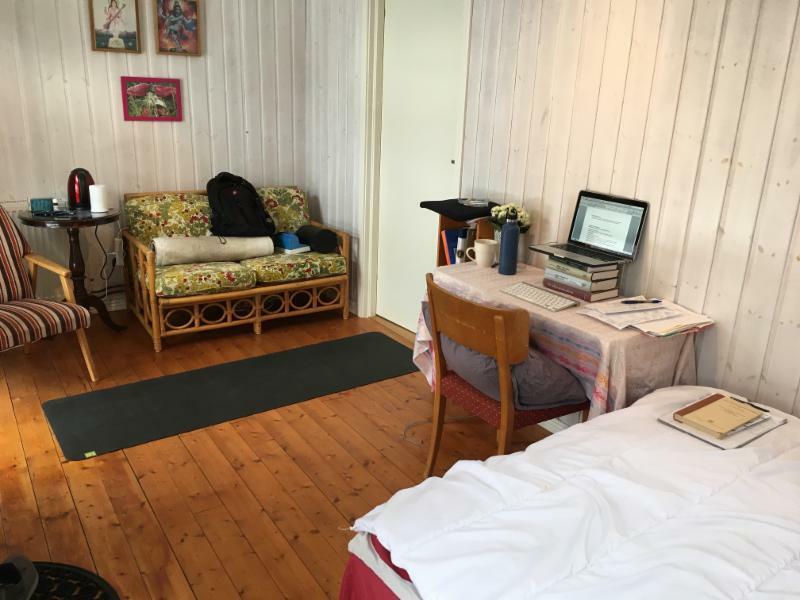 Then a train to Dalgas Yoga Copenhagen to teach M&M again. 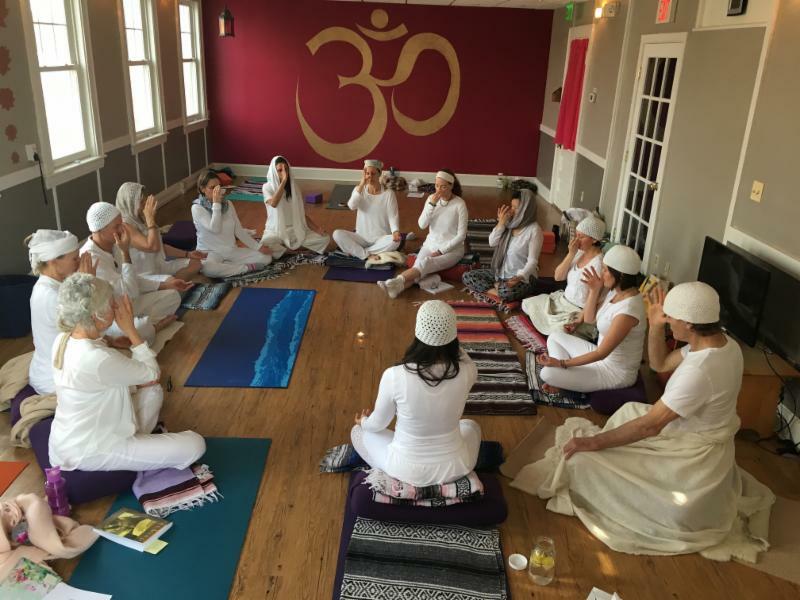 On the way home, a stop at Yoga4Everybody in Fairfield, Connecticut to join Hari NYC for more Mind and Meditation! A kayak adventure on the Long Island Sound.brought me to a sweet reminder of what teaching is all about. What I learned from the Handle Your Heat 40-Day Practice that anger, like any of my emotions, can serve as an ally if I am willing to face it as a teacher and a trusted friend who has something important to tell me about myself – as opposed to some kind of character defect. However, like any practice, the benefits are only maximized and sustained if I make sure it is a “daily” 40- day practice. Discipline and steadiness can be difficult, but daily discipline when it comes to my spiritual practice has been the key to my results and my growing freedom. After having this experience over the first few days of the practice, I realized my anger had taught me to feel it, learn from it, and utilize the energy for positive action – not rage or knee jerk reactions. Slowly but surely, my arm started staying up without me even thinking about it. I’m still learning, but day-by-daily practice, I’m becoming more peaceful. There is a Ray Bradbury quote I love: “You’ve got to jump off cliffs all the time and build your wings on the way down.” I agree, and also feel that it sure does help if you have some wing building materials when you jump! That is what a daily practice gives me. It allows me to live in the moment while being prepared to face the wonder and mystery of each of those moments as the spiritual being I long to be. When you feel bad, doing Kundalini Yoga makes you feel better. Stressed and upset? Do a strong set and you can become calm and peaceful. There are many kriyas and meditations specifically for emotional balance, to get rid of fear and anger, and to release negative thoughts. It is not unusual in class to cry spontaneously and then leave feeling good. Kundalini Yoga powerfully cleanses, strengthens and generates positive emotional states. This is Emotional Balance 1.0. It is wonderful. And it is not enough! Seeking pleasure, even at this higher spiritual level, and avoiding pain is fundamentally what yoga advises us to transcend. The yogi lives beyond polarity in neutrality. Avoiding the dark side of our fears, negative thoughts and other heavy feelings leads to inauthenticity, pretention, spiritual bypassing, neurosis, and eventually physical and mental illness. The soul moves us steadily toward wholeness. So not dealing with our wounds and their emotional patterns causes cracks in any spiritual veneer, eventually. A strong practice, serviceful acts and attitude, devotion and positive thinking are like getting on a great diet; they build mental/emotional strength and health quickly while detoxing us psychologically. Positive practice is the permanent foundation, but if there are cracks-unattended wounds in the psyche-they will show up and grow in time. Call it “falling from grace,” freaking out, Shakti Pad or just falling apart, there is no lack of cautionary tales from great teachers, leaders and sincere spiritual practitioners who have lost their precious progress, stature and spiritual “capital” due to masking and avoidance. When we seek and value only the comfortable “positive” emotions while ignoring or repressing the uncomfortable “negative” feelings as most yogas, therapies, spiritual paths and society in general do, we later find pain unavoidable as the soul pushes issues to the surface so they can be resolved. In the Aquarian Age there is no hiding, not even from one’s self. The times require us to face any darkness to accomplish union with our full self. Darth Vader was right about one thing, there is power on the dark side. Dealing with perceived negatives to incorporate their benefits is also known as Shadow Work (see Debbie Ford’s work, The Dark Side of the Light Chasers). My book, Senses of the Soul, uses the tools of Kundalini Yoga to help us safely dive into difficult thoughts and emotions consciously for healing and guidance. This always brings a deeper level of peace and oneness. This is Emotional Balance 2.0: seeking the light without being afraid of the dark. Emotional Balance 2.0 is to trust and consciously work with the natural, intuitive wisdom of the sensory system, including the dark, uncomfortable and often disregarded emotions. When we think of Sadness, Depression or Anger as beneath us, we lose the gifts of Love, Renewal and Power they respectively bring. 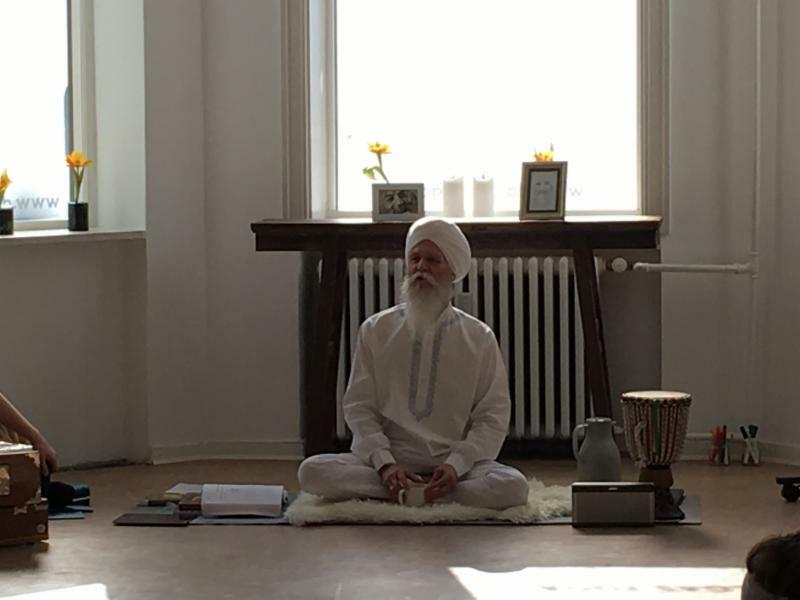 Yogi Bhajan’s use of Anger to awaken and motivate students is well known. When the Dalai Lama was asked if he ever got mad he laughed and said of course, but he also recovers quickly. Emotions are not un-spiritual; they tell you when something is sending you away from your higher, happy, peaceful self. Conscious use of your heavy emotions and recurring triggers bring helpful gifts and guidance they are meant to give you. More commonly, we misuse emotions in two ways. At one end of the spectrum is Reactivity; feelings take over and we lose control. The opposite of Reaction is Repression, in which we override our true feelings to pretend nothing’s wrong, or worse, disassociate and not even know that we are in distress. The key to skillful emotional work is the “middle way” between these two. Mindful awareness, neutral observation, meditative-mind-meets-the-emotional-body, and the somatic experience of feelings, all describe this new approach. What I am saying is, bring emotions into your spiritual practice! How? First, get ready. Emotional activation fires up your limbic system and then your consciousness goes dark. So prepare with some strong pranayama or Kriya. This gives you nervous system strength, personal confidence, and mental clarity to face intimidating feelings. In meditation the prefrontal cortex lights up, giving you the ability to remain present while fully feeling your emotions. This “peer dialogue” between intellect and emotion produces intuitive responses to resolve whatever is bothering you. -And, you do that so you can be at your best. Yogi Bhajan called emotions the senses of the soul. Listen to soul not through words, but through feelings. Get clear and go inside. Explore this last frontier of self-awareness and get your emotional intelligence on! This article, written by GuruMeher, was reprinted from 3HO’s Yogic Living newsletter. Today I want to share a story with you about one of my students. Hannah (we’ll call her) came to me with a problem that many parents face. Her son had always been sweet and kind. But now, at age 13, he’d become disrespectful and verbally abusive. This made her mad, and she didn’t like how she is angry she was getting right back at him! Hanna had a big history with anger and outbursts stemming from childhood parental abuse. She realized that her son was beginning to display the same behavior that she grew up with, and that she and her husband had also long related to each other with angry arguing. She wanted help managing her anger, but I could tell there was a self-esteem issue stemming from being put down and yelled at as a kid. How she felt about herself was a deeper issue, which the anger was trying to help by fighting to be respected. So we went to work using Senses of the Soul. I love seeing the stunning results of using emotions consciously and this was a particularly powerful example! I had Hannah close her eyes and breathe deeply until she felt strong and clear. Then we let Hannah’s anger arise while she maintained her clear self-awareness. I asked her to ask her anger what it wanted? She immediately felt the answer, RESPECT! At this point tears were streaming down her face from both the burning need for respect and the life-long pain of not feeling it. Bad enough she missed it from her parents, but now her son was joining the disrespect party. Then, true to the SOS method, I asked her to ask her feelings what she needed. She heard the answer immediately within herself, “Self-Respect”. When she came out of the meditation, she explained what she had realized. She didn’t need to fight with her son, which did not build respect at all. “I just need to begin by respecting myself.” Wow, she could give herself what she had been wanting from others! The benefits were obvious and immediate! I love this story because it says so much about what we are really capable of when we let our emotions help us. I hope you know and use your emotions whenever you need to. There are lots of resources at Senses of the Soul.com to help you become more emotionally intelligent, including a full Emotional Liberation course, I hope you’ll join me. If you are in pain of any kind or are looking for emotional upliftment, I encourage you to check it out. The link is here and below. This excerpt is from Happiness? The Upside of Negative Emotions, the cover story in the February 2015 issue of Psychology Today. I can’t believe that what I’ve been working on for the past 20 years is finally hitting the main stream. I’m thrilled that more people will now be thinking about emotions usefully. See below, then read the full article on the Psychology Today website or from the newsstand. Author Matthew Huston beautifully sets up the premise of Senses of the Soul. While his knowledge comes from the field of psychology, and I discovered mine through meditation practice and coaching people through troubles, we have come to the same conclusion. So called “negative emotions,” are meant work as your friends! There’s just one place where we differ – how we use that information. Senses of the Soul is based on EXPERIENCE. This is the next level of therapy and healing and why SOS exercises are so life-changing. We don’t think about these ideas, we practice them. It’s not enough to know that emotions are your friends. Just because I know that vegetables are good for me doesn’t mean I will eat them. I have to FEEL the difference in my health and YOU need to feel the difference with your emotions too. That’s what Senses of the Soul is all about, and why I get so excited about the upcoming Emotional Liberation training. You may know that negative emotions can guide you to positive solutions. I might have told you or you might heard it from someone else. This Psychology Today article will most definitely confirm it for a lot of people. But have you ever experienced using your negative emotions for healing, strength and guidance? Do you know how it’s done? Does it actually feel like your pain will lead you to peace? Call me a yogi (because I am! ), but I think experience is more important that knowledge. Senses of the Soul combines that emotional therapeutic model with my 15 years as a spiritual counselor and the ancient science of meditation, to take that next step from simply recognizing your emotions as friends, to really feeling that way. That’s why I carefully designed this Emotional Liberation Course that starts in March as an intensive immersion, designed to give you real, consistent practice and experience. You’ll not only know the use of each emotion, you’ll practice the uses of those emotions! If you’ve been feeling stressed, scared, mad or run down, you need to check out the course and heal your whole life. I sure hope you do! Learn more HERE. And read this article. The word is getting out, Feelings are your Friends! No one questions the value of feeling good. In fact, it seems that for the past 20 years, everyone in America has been on a relentless quest for a blue – sky state of mind, in pursuit of permanent residence on the spectrum between contentment and ecstasy. Feeling bad is another matter entirely. Emotions that generate unpleasant feelings have been Called sins (wrath, envy), shunned in polite interaction (jealousy, frustration), or identified as unhealthy (sadness, shame). We suppress them, medicate them, and berate ourselves for feeling them. Because such feelings are aversive, they are often called “negative” emotions, Although “negative” is a misnomer. Emotions are not inherently positive or negative. They are distinguished by much more than whether they feel good or bad. Beneath the surface, every emotion orchestrates a complex suite of changes in motivation, physiology, attention, perception, beliefs, and behaviors: sweating, laughing, desiring revenge, becoming optimistic, summoning specific memories. Each component of every emotion has a critical job to do – whether it’s preparing us to move toward what we want (anger), urging us to improve our standing (envy), or allowing us to undo a social gaffe (embarrassment). A tragedy feels like defeat. Victory through it, paradoxically, requires some Surrender. So when I felt a little sad and low here and there these last few weeks, I embraced it and it passed. But hey, now it’s the New Year, back to work, let’s get going. But wait… a tragic death in our community, right on New Year’s? Now I’m laid low and sick? Find myself intimidated by the very tasks I have set for myself this year? None of this was in my neat plan. Can I accept, as I ask others to do? And what are my problems compared to my friend stuck in the hospital for months after a stroke, or my dharma-sister who just cremated her 25 year-old newlywed husband? Our tests to surrender and embrace where we’re at, who we are and what is happening come in all sizes. There’s no comparing with others; we are all challenged to keep up under the events life brings us and be victorious. Victory is an attitude that includes acceptance, because Victory is seldom what we imagined. As I listen to his parents, friends of mine who raised their son with spiritual principles and practices, I am struck by the caliber of human being they created by those teachings. AND, how with those same teachings and with the support of spiritual community, they have molded their own consciousness to accept this tragedy and prevail in their elevation. Bless yourself with strength and victory. We are in this human experience together. We can do this, whatever it is! Accept and Prevail! Aren’t you sick and tired of the suffering? Your own, that of others, global human suffering! Pain comes with having a body, but suffering – that long-term stuck-in-misery mental/ emotional torture we endure out of habit – is optional. Enough is enough! Let’s raise our standard of happiness, quit tolerating our patterns of self-created and avoidable drama! There is a way through every block, right? So why do we live in stress, create and then tolerate troubles, and continue our patterns and pain-sustaining habits? The wise ones have always said that our answers are within us; that we do know! 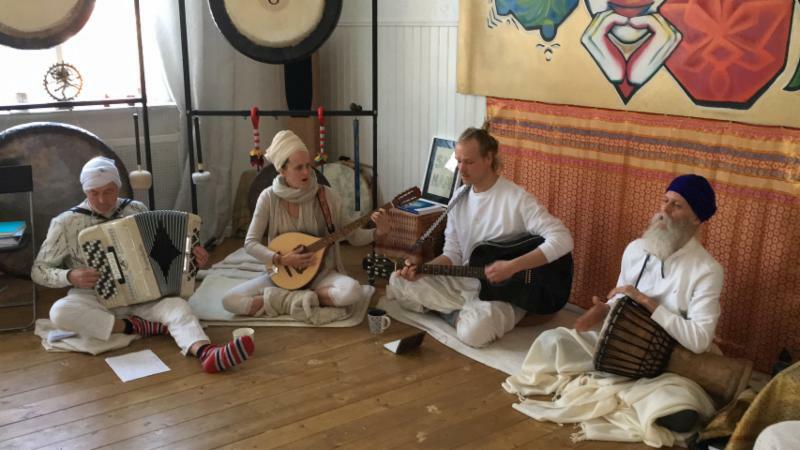 Yogi Bhajan challenged us to eliminate our use of the phrase, “I don’t know,” altogether because it’s just not true and is an excuse to quit penetrating the issue. As an exercise, simply try saying something that is more true and accurate than “I don’t know”. Senses of the Soul offers powerful access to our vast inner-knowing by the use of difficult feelings to KNOW the real source of our problems and solutions to our suffering. The evidence that I’ve seen for this, the results of thousands of people using SOS techniques, gives me huge hope for what is incorrectly called the human condition. But now that I see how simple it is to diminish troubles and increase joy, I feel greater sadness for the pain I see people living in. I’m fired up, impatient and eager to raise expectations and standards for our quality of life. My contribution to this is to teach Senses of the Soul and the tools of Kundalini Yoga that facilitate access to the strength and clarity needed to consciously confront challenges. Do you know the simple principles of Senses of the Soul? Do you use them? 1. “Bad” emotions are good things, friends, allies. 2. Their Pain leads to Peace when used skillfully. 1. you always know it (you don’t just live with it), and know exactly what you are feeling. 2. you clearly know why you’re feeling bad. 3. you easily see what you need in order to feel better again. 4. you do that, and return quickly to feeling safe, happy, and loved. No more NOT KNOWING how to use emotions. The information is here. Let these discoveries sink in and change your paradigm of feelings. Don’t believe it; prove it! Learn and practice. Next we’ll look at “Knowing but not doing”; when we don’t use what we know, to grow. Let me hear more from you about this. What do you need to end your suffering in 2015? Join the conversation at facebook.com/emotionsos, and let’s get fired up to feel better, together. Your heart is a sacred thing enshrined in your miraculous body. Dignity and Divinity are built into every cell of your being and realm of your psyche. But so often we feel small, defective, dirty, mean or lonely. You are a precious treasure. But like fine china your value can be unnoticed, undervalued, mistreated, even shattered. Valuables, gold and gems are safeguarded, insured and protected. And so must each of us see the immense value and the great sensitivity of the self and defend our sensibilities from all careless or calculated attacks. You have the power and choice to accept or reject incoming communications BEFORE you let them hit your heart. Some people have a “tough skin” and are less affected by negativity, but most of us will enjoy life more when we increase this ability to discern. And BTW, some of these attacks come from within your own mind! Said more simply: Hurtful stuff comes at you every day. Learn to protect, and select what affects you! Here’s a way to develop this habit. Each step may take training and practice. 2- Decide not to hear it, accept it, believe it, nor let it inside you yet. Don’t take it on. 3- Get yourself as strong and clear as possible. Learn to do this! 4- When YOU are ready, allow the thought/ words/ situation to come right up to you but not in, like a stranger at the door you are going to question before they qualify to enter with your permission. 5- Clearly, meditatively, from a place of as much neutrality as you can embody, decide that you are ready to examine the information. This shifts the power from the attacker to you. You CHOOSE to hear it now. 6- From neutrality you can assess the input (still from outside the door of your being!). 9- If and when YOU see that there is something of use in this communication, some Truth, then as an empowered and empowering act, you let it in the door of your heart. Consider it deeply and let it contribute to your consciousness. Use it, with gratitude to make your life even better. 10- And use this same practice with your own thoughts when they attack from within! Try it! This Truth portion of any incoming attack may be anywhere from 0% to 100% of the original message. And only you know. You are the judge of Truth, and you are the protector of your honor. But it does take that elevated neutral view to see clearly. That is the thing most of us need to practice and strengthen. Meditate to get there! In time this becomes nearly automatic. You are safe and free, the decider about what you take in and how you use the mostly random and impersonal stuff that may get thrown in your direction each day. And, you are open to input, flexible and constantly learning. Does it ever happen to you? You are trying to decide something, figure out what happened, understand what you think, feel, or should do. There is a LOT on your mind. It distracts you, keeps you lying awake. Thoughts are churning, you can’t NOT think about it. You debate the same pro’s and con’s over and over without getting anywhere new. Meanwhile, nothing changes. You are stuck. You have a mild, medium or intense case of ANALYSIS PARALYSIS. As powerful as the human mind is, we have another faculty for knowing things. It is less well-defined and, unfortunately, not very well trusted and utilized. It is still considered lame, bogus, even mystical. Our language is imprecise; we describe it as a gut feeling, following our heart, a hunch, “I don’t know how I know, I just know”, and (correctly) intuition. It is a key part of our total “sensory system”. And it’s time we quit suffering and live with the full benefits of this way of knowing truths directly from our own soul. “Listening to soul” is nothing magical: Soul is simply the part of you that sees the big picture. And listening to it is extremely practical. The mind can compute a million details (content), while the heart can take in the entire situation (context) and “get it” in one impulse, without thinking at all. The things that matter most to you are more easily known to the heart’s subtle, calm, “still, small voice”. Just as a parent can patiently listen to a child ranting in a tantrum, your higher awareness can calmly observe the frantic chatter of the monkey-like mind. Are you familiar with these two voices inside of you? Wouldn’t it be nice to reside in the clear and calm one? – Don’t go after it, attack it, get wound up tight. Your first priority is to get clear. When you do act, it will be from there. – Instead, de-escalate. Calm your nervous system and relax the mind. I hope you know at this point in your life what works fast and best for you to do this. Yoga and Kundalini meditations are the most effective methods I’ve found, but there as many ways as there are minds. – When you get a bit of space in there, ask your mind to wait for further instruction. Reassure it that everything is okay; to sit and wait like a faithful dog until you give it the next “ball to chase”. Train your mind! This might take minutes, days, or years! You may not trust at first that this is the most efficient way to “fix the problem” since we are trained to go after the symptom at the surface. In yogic terms we say, be sure to listen BOTH to the negative and the positive sides (thoughts), but get to neutral before you speak or act. You can almost always buy some time, postpone a response until you are crystal clear, until you know you are acting in your best, long-term interest. Folks ask me, “How do I know that I am hearing from the Soul and not the Mind?” I say, “Practice!” Practice what? When you see, hear, feel or sense and get the truth, it is totally, instantly clear, just like that light bulb in the cartoons. It is deeper, in your body, and surer than a thought. You feel certain, at peace, and at least momentarily willing to stand against all odds to pursue more of that same sensation. So in a beautiful irony, the remedy for Analysis Paralysis is to not think. Rather, to solve the situation from your heart. Once you know what must be, throw the ball for that energetic dog. Say, “okay mind here’s the deal; go get it.” When you feel so much better, and also see that things work out better, you’ll learn to trust your Self. We are fragile when we are born and can’t survive without getting food and care from “out there”. As we grow we seek our countless needs from the environment. So naturally, when someone or something bothers us, we “go after” the thing to “fix it.” It’s a costly mistake we all make. Shi* Happens. That great piece of modern wisdom reminds us that after we’ve done all we can to take care of ourselves, life often brings the unexpected and unwanted. When it does, don’t react or attack. Don’t take it any more personally than the weather. People act according to their nature and gravity moves stars in their own orbit. It’s not about you. But when it interacts with you, it does affect you. Focus on the effect it is having on YOU. They didn’t do it “to” you. They were just being themselves. How it impacts you is all about you. And that is something you have more control over. Rather than fight the nature of things, focus FIRST on yourself. What’s really going on? How did this affect me? Why does it bother me? What do I need now? What could I do to make it right for myself, to move on happily? -Why am I feeling this way? -What do I need to know or do to feel better? With practice, you can do this quickly and accurately. THEN go “out there” when action is needed, to communicate, rearrange things, to handle it based on your clear desired outcome. This is conscious self-care. It is looking-before-you-leap. It reflects taking full responsibility for your own experience. Though the world won’t always conform and obey your wishes, there is ALWAYS something you can do in any situation to make it better for yourself. There is always a choice. And choice gives you power. For huge, difficult, life-changing events there are seldom quick fixes. Getting clear can take years. You can be sure that this level of life-challenge is bringing you a major demand to learn, grow and to expand your consciousness. When you approach life from the vast perspective of the soul, you can ask, “Why did I invite this into my life? What will be its value to me long term? What do I not know now, the knowing of which will take me through the block? These are confronting questions that leave no room for blame or helpless acceptance of fate. At first intimidating but ultimately empowering, this approach trains us to use our ability to create our reality. Let’s keep learning from each challenge by looking at ourselves first for the pain, the cause and the remedy. Physical Fitness. Everyone knows what that is and how important it is to achieve it. Some take steps to get in shape; others decide that it’s not worth the effort. But all people recognize the importance of keeping the physical body healthy. This is because in the 1960’s, President Kennedy implemented programs in school for physical education. It’s so practiced and understood at the national level and beyond because there was a federal mandate to get people aware about the health of their bodies. But what about Emotional Wellness? We know some things about Emotions. We know that exercise can reduce stress – for instance. But for the most part, we are still in an infancy of awareness when it comes to Emotional Wellness. Mostly, there’s a lot unspoken pain in people’s lives. Additionally, there isn’t adequate treatment. We take care of anxiety and depression with pharmaceutical drugs. We take care of drug abuse with cold, institutional rehab centers that have high relapse rates. We take care of relationship problems with court ordered separations and divorces. None of these are healthy treatments and they don’t come close to addressing prevention. Emotional literacy is the next big thing we need. We need to see that Emotions are our friends. And while we many need to heal them, we don’t need to treat them. We need to utilize them for understanding and empowerment. We need to have healthy relationships with our Emotions, so they can guide and support us. If we start relating to emotions in this way,we will all be a lot happier! I really believe this crucial skill can make the world a better place! To achieve this goal, we can follow the curve of Physical Education, and implement similar strategies in promoting Emotional Education. See that there is a need for emotional education and research methods for children and adults. Encourage commitment and investment of time. Just like you don’t start running a marathon after one day at the gym, emotional dexterity takes time and effort. I hope that one day, these programs are achieved in school, so that kids grow up knowing how to handle emotions for their betterment and success. In the meantime, this is why I developed Senses of the Soul. Senses of the Soul (SOS) is a system of self-therapy that uses Emotions for Strength, Healing and Guidance. It’s a transformative technique that really changes the way you live your life! If you really want to improve your life, there is no better way to start. There is a lot of suffering out there, as well as within our own hearts and minds. But there’s reason for hope. After five decades of searching, learning, and experiencing anything I could find that might help my happiness, I can say that what made the most difference was to calm down enough to pay attention, to talk nicely to myself and find out what was wrong. I remember taking on the “project” of Self-Love. It sounded like a good idea. I thought it would be simple and would come automatically. But I found it surprisingly difficult, so I decided to start with an easier step: self-niceness. As that left me in a world that treated me better, something deep inside me accepted that I must be worth it genuine. The positive momentum continued from self-kindness to self-compassion and on into Self-Love. It took a long time and a lot of work, acceptance, and surrender. But it was worth every last drop of blood, sweat, and tears. Here is a simple thing to do as a daily practice or anytime you need it. Sit calmly and take a few deep breaths. Cross your arms with your hands holding opposite shoulders; left arm higher and right arm below it. As the hands hold on, relax the rest of your body-your face, neck, shoulders, and arms. The body language is a self-hug. If you have ever loved anything, you know the feeling of a hug; call it forth now. Feel cozy and loved within yourself. Breathe long, full breaths that slowly become effortless as you settle in to the hug. Have some gentle uplifting music playing softly, if you wish. Think any positive thought and image and evoke every warm feeling. Let everything else disappear until there is no thought at all, just the feeling that you are safe and loved. Let that melt you away until what is left is beyond feeling. All is well, all is perfect. Behold this awe and reverence for the vastness. Be in pure experience. It is Divine, sacred, pure consciousness. At some point you will be ready to “come back.” Breathe deeply, stretch, and relax. Can you invite this experience to influence and alter your activity? When you visit it often, it will not be forgotten. 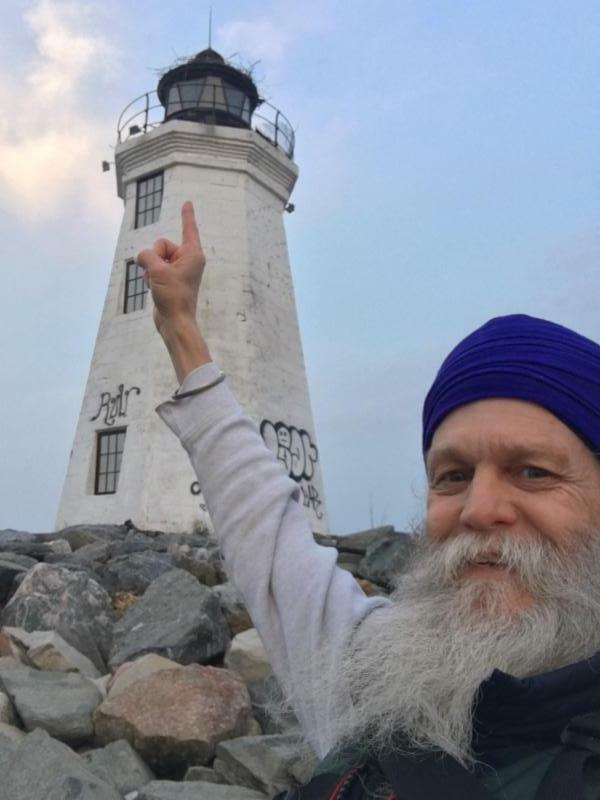 A quote that really embodies this feeling is something my son said at his high school graduation: “I am exactly who I am supposed to be, and that is who I’ve always wanted to be, and I am completely in love with that person” – Har Narayan Khalsa, June 2012. The time has come to solve your problems. We all have the ability to do so, yet we live with too many. In just a few short years we have put all the information that humans have gathered onto one web that is accessible to everyone. But until knowledge is used wisely it does nothing to increase human happiness. For that we need more than information and knowledge, we need wisdom. Not just answers, but the right solutions for each situation, which are then put into action. You can’t fix the world, but you can fix your life to make it work well, so that you love it. You can do that, and you must. One bit at a time. You are a self-contained unit. Yes you have your history, faults and issues, but you also come with the resources to discover and handle everything life brings. The internet has shown what the sages have always known. We can tap into all knowledge. But to solve your problems the answers are not out there somewhere. Your answers are already within you.Throughout history most cultures, and certainly those that wrote history, were autocratic. Someone held the power, knew the answers and might give them to you if you paid the price. We still each begin our life depending on the power of others, whether they have our best interest in mind or not. Times are changing, first to grant individual autonomy and then to demand it. Autocracy once meant the power of one over all; the new autocracy is your complete power over your own life. IF you have that, wouldn’t your life be awesome by now? How do you know where to start? For the things that matter most to you, matters of the heart, what will give your life purpose, meaning and fulfillment no one knows better than you and you’re the only one that can answer these questions. So the future of health is self-help. The future of therapy is self-therapy, and the source of all this wisdom is built inside of you just waiting to be heard. Once you gain access to this “Innernet” you will begin to correct everything in your life today that isn’t working for you, clear the past things that have harmed you, make peace with your future – even your death – and enjoy lifetime ability to handle yourself. Last weeks’ article “Make a Space to be Fragile” generated many responses which I was very happy to receive. A lot of gratitude was expressed for the permission or validation and support, and I would say almost a hunger for the time and place in our lives to be soft. Most came from women, but I was especially happy to hear from some men. One of which, I have his permission to share with you below. We are seeing the trend that the human population is becoming more sensitive. It’s an evolutionary increase in our level of awareness with the result that people are both more easily hurt and more intensely reactive to each other. We feel more, we know more, and it can be very overwhelming. It is in part an adaptive response to the intensity of information and change. This sensitivity is not a weakness. More like a gift, a skill that we must learn to master. The first up is to recognize the ability to sense more deeply and clearly stimulation from inside and outside of yourself, and to see this happening with other people as well. Then to accept and begin to manage the information to your advantage rather than resist, judge it or let it crush you. You will need rest and physical strength, strong nervous and glandular system just to handle the voltage. For this I recommend Kundalini yoga and the entire yogic lifestyle. And create the time and space, that safe space to be fragile so you can work with and process what you are feeling. We are all a lot like Goldilocks. We sample to discover what we like by experiencing a lot of what we DON’T like. We learn compassion by being hurt and by hurting. We (hopefully) come to moderation by experimenting with excess or scarcity. Life is a comparative study in which getting it wrong is as important to our progress as getting it right. We explore between extremes to find our sweet spot. This can be intentional, but is more often more like stumbling around bumping into people and things rather randomly. So right now, today, you find yourself in a mixture of situations. Some are too passionate and involve things getting broken, like Goldilocks’ porridge and chair. Or you learn how it is to go cold and passive, withdraw, and allow mistreatment. We have enough days and experiences in a lifetime to try EVERYTHING. But most of us specialize; we get stuck in one extreme for a long time rather than moving on toward a more suitable equilibrium. Some remain habitual givers and become exhausted and resentful. Others make a permanent niche as takers, demanding and ungrateful which leaves them empty and lonely. Any imbalance will cause a fall. THE GIFT OF EVERY BAD EXPERIENCE IS TO MOTIVATE YOU TO FIND A BETTER ONE. SO DON’T GET STUCK. When you feel bad, let that open your awareness to what is not working. Is the problem about too much or too little of a thing? Too fast, busy and overwhelmed? Slow down, take time, and make space to live. Stuck, sad, bored, unmotivated? How can you bring their opposites: heat, stimulation, energy, spirit? See for yourself that behind each problem are some excesses or shortages. Food, sleep, time, skills, ego, love… Once you ID the resource, look to both external and inner means to increase/ decrease it. When balanced, the problem will begin to resolve. That shift to center may feel foreign, extreme, uncomfortable, risky and even impossible from where you have been operating. Don’t run back to safe but ineffective ways. Try this stretch into new thinking and behavioral territory awhile and compare how it works. Don’t give up too soon in the early “getting used to it” stage, which can be clumsy and uncertain. Software upgrades take some time to get used to, but worth it to have a better operating system. Every life, great or small, has it’s own Sweet Spot. to find the life you love. Emocionante in Spanish translates into English as “exciting.” Just count the ways, from morning coffee to evening news, that you seek stimulation. Like any addiction, ever-greater doses are needed to reach the same high and to block out all pain, but the damage also increases. In this love/hate relationship with feelings, “ups” are followed by and matched with “downs;” you fatigue from both, and pain persists. But there is a higher octave of pleasure that is subtler and more sustaining. The experiences at this higher level are considered spiritual goals: Peace, Joy, Bliss, Unconditional Love. These are boring when compared with action movies and family fights, but they become more appealing as we detox from living in constant motion and commotion. These subtler excitements become more enticing as we refine our sensitivity; these sublime feelings are experiences that we all deeply long for once the noise and chaos recede. Just as your five senses help you attend to the body, emotions are a way to relate to your soul. They tell you what your heart longs for, and they convey pain when you don’t get it. They bring fierce energy when your peace is disturbed so that you can protect your sanctity. All the big yet invisible experiences that determine your quality of life—Love, Peace, Contentment, Beauty, Grandeur, Hope, Inspiration—are felt inside. These inner experiences are known through the same sensory system that brings you Anxiety and Hate. “Negative” emotions are, in fact, warning signals pointing to whatever it is that is interfering with your preferred “positive” states. Emotions are the Senses of the Soul. They lead you to light. They let you know where you are on your path from pain-to-peace, alerting you away from suffering and toward deep and sustainable pleasure. As you begin to use emotions to clear up trouble rather than cause it, you will spend more time feeling good and happy. This will become your new normal, and inner peace will become your natural home. Last week we looked at the inflow and outflow of energy in our lives, which the yogis call Prana and Apana. (Click here to read it.) Since our mental, emotional and physical health depend on managing our energy to have the right amount needed, I suggested reviewing your use of this most essential resource. Again, take some time to clear away situations that are unnecessarily draining you. Another way to prevent fatigue and despair and restore vitality is to work better with the out-flowing Apana. We naturally prefer the influx of energy. We mostly want more! Time, energy, enthusiasm, activity and achievement. Our busyness is very exciting. But try holding your breath for over a minute and see how much you come to value letting go of that breath. So instead of just thinking of Apana as elimination or losing something, think of it as a letting go, resting, relaxing, not having to do anything; just being. You can’t have more of anything if there is no space for it to fit into. Everything you want needs room. Just as much is we get attached to gaining not losing, we fear the dark, the void, emptiness, nothingness, the unknown, death. Yet, we know how wonderful it is to exhale and to fall asleep. Both make way for a revival, for the inrushing of new life. Evaluate for yourself how common valued, and practiced these space creating practices are, in proportion to all of your “go, gain and get” activities. All of these things are examples of the beauty of emptiness and nothingness. So don’t be afraid of your own outflow; it keeps the Universe in balance and you happy. Increase your Apana activities: rest up rather than pushing when you want more energy and want to feel more optimistic. Create some space and allow nature to fill you up. Are you rising or falling, upbeat or downtrodden, enthused or burnt out? Fierce winds blow, followed by calm. But we seem to just push on and on. When we feel depleted physically, mentally and creatively, get sick or depressed, we think something is wrong. Often it is the wisdom of our system creating a balance when we don’t know how. The ability to rise and recover – from anything – is called Resilience and it is woven into every life. But we do have a choice to ignore, resist, or work with nature’s rejuvenating way. We were all born with an energy “trust fund”, a personal store of life force that is used and replenished like interest earned. Some people have more and some less as a baseline. But learning to be good stewards or energy managers of this precious gift of “prana” is each living being’s privilege and responsibility. Each day you have a certain amount of incoming energy available. Yogis understand this as Prana. As it is spent, it leaves you. This is Apana. A breath comes in to give your cells life, then the breath carries away the by products of metabolism that you don’t need; exhaust fumes. THAT ONE BREATH IS USED AND GONE! What did you buy with it; did you gain or lose from the trade? You got a few seconds of living. At the end of the day you are tired. You sleep and your energy bank account is refilled. What did you get back from your day’s efforts? Over many decades there is a collective depletion we call aging. The “bank account” of physical energy is not longer replenished as fully as before. Net loss? Not necessarily! Consider that air, food, water, sunlight all bring you prana, but so do environments, people, attitudes, thoughts and emotions. Prana is subtler than electricity and calories; it spans the non-physical worlds; it is vibrational. If you are spending your energy to increase peace and beauty around you, wisdom and mental fortitude within, neutrality and emotional resilience as a habit… this is a good trade! Like good financial planning, wise energy management can afford you a growing body of all the happiness you need. The first step is to review how you are spending your life force. What are you investing in? What are you getting in return? Spending time with people that bring you down. Blaming and complaining without working to resolve problems. Allowing yourself to be mistreated. Worry, doubt, confusion, despair and depression, unresolved anger. Thoughts and feelings can gain or lose LOTS of life force. But remember these “Senses of the Soul” can also be used to guide you out of trouble; that is their purpose! Allowing these energy drains to go unresolved is the source of greatest exhaustion for modern people. When you live close to the “edge”, it is like bankruptcy, struggle and suffering. Time for an energy-management makeover? Take a year to clean up, retrain or change the environments, relationships, personal habits and behaviors that drain you, stress you, don’t uplift you. Just make a list of the all that bothers you. Then, a list of fanciful ideas; what you can do to stop the energy bleeding and switch over to healthy feeding off good vibes. More on managing your Prana and Apana for resilience next week…. emotional contagion. noun. the tendency to feel and express emotions similar to and influenced by those of others; also, the phenomenon of one person’s negative thoughts or anxiety affecting another’s mood. It is less conscious and more automatic, while there are also the more cognitive, sophisticated, and “socially beneficial” processes of empathy and sympathy. As social creatures it is essential to feel and bond with others. Problem is when they bring you down. And that started early, at home, when your family set your emotional “thermostat”. Were you instilled with the habits of Anxiety? Anger? Sadness and Depression? Shame and low Self Esteem? Once you spend a lot of time in these emotional vibratory patterns, you are easily triggered to return there again and again by people around you. It can seem that you are helpless and trapped by the troubled emotions of others. – Know your “go to” emotional states. I facetiously call them our “favorite emotions” because we spend a lot of time with them. – Then notice the influences that bring you into and back out of them. When, with whom, where and why you find yourself with those feelings? – Equally important is to identify the preferred “positive” emotional states you have and would like to dwell in. – List and find the people, places and activities that “trigger” you into these states, and hang out there! If that sounds simple, it is! By choosing your friends, environments, actions and thoughts that help you feel good, in this way you can “choose your mood”. It may take time to change habits, not to mention a job, but the improvement will follow incrementally with your choices. The next step is to become a teacher. In this context I mean a person who, while able to feel and merge with others, is not pulled into negativity, despair or any other vibratory frequency unwillingly. Rather, you are able to hold and share a positive feeling that uplifts, or “raises the vibration” of the other person. Simply said, people feel better by being around you. So Emotional Contagion is real, but you can learn to choose how you want to feel. How’s your happiness going? I want to share some thoughts and tools on the subject. I spend my life helping others to find more of it through the tools that I have acquired: Kundalini yoga, life coaching and working with the emotions. And ultimately those came to me for selfish reasons; they are the product of my own search for happiness. So when I was thinking of the story of the many people I have helped from which to draw some examples and conclusions, I realize that there’s no one I know more about in their search for happiness than myself. And I am very, very happy. In the review of my process I realize that it has been a project and continues to be a process. So I want to share a list of principles and practices, all of which are important and any of which will help. As you look through them you will be naturally drawn to some as most needed and effective for you right now. Please do read the final few points in summation. Believe that it is possible, no matter the circumstances nor the past. Commit to the pursuit of it. Be steady, it takes work. Be patient, it takes time. Have courage, to face and deal with obstacles. Be flexible, happiness may not be what you think. Be smart, figure out what you need, what makes you happy. Make good choices. Every day you make hundreds of micro choices that lead you closer or further to your happiness. Be adaptable, the sources and nature of your happiness changes with time. Acceptance, work with what you have right now to create happiness. Let go, end attachments in situations that bring you down. Take care of yourself, health and energy help a lot. Start where you are, there’s nothing so wrong or bad that you can’t make incremental improvements. It’s not an all or nothing game, it’s about making steady gains. Don’t compare and compete in the happiness game. Be inspired by what you see but don’t be fooled into thinking that anyone has a better chance at happiness than you. Hardships are obstacles but not obstructions, they can serve to motivate and help you find happiness. Happiness is served by temporary enjoyments but it is much deeper and more substantial, more like a healthy diet then a single dessert. It includes body mind and emotions, but is impossible without a deep spiritual component. Giving it is an essential part of getting it. It is your birthright. Only you can do it. But get help and support. Humans need connection. Get started, keep going. It’s a continual process that can increase in up times and down. How do you know you have a Soul? We’re done with the days when someone tells you and you just believe it, or don’t believe. That’s just not satisfying anymore. This is the age of knowledge which comes by your own direct experience. But you can’t see Soul, and “seeing is believing,” right? Well, you can’t see love either; how do you know it exists? You can feel it! Feelings are a subtler sense, part of your sixth sense. When used consciously, our Emotions are the Senses of the Soul. You use your five physical senses to go get what you need and avoid harm. Emotional feelings are also sensors. They bring subtler information, the “flavor” of a situation. I may see you smiling at me, but how do you really “feel” about me? Something tells me that you are actually very upset with me. That information is more important to our relationship than what my eyes tell me. But most of us don’t have trust and skill in using our emotions intuitively. We often ignore and override this vital source of guidance. Or, we become slave to our feelings without mindful interpretation of their messages. You can use all your emotions – the pleasant and the painful ones — to feel your depths and heights. When you want to listen to your soul – always a good thing to do – feelings help you understand it. They are part of the intimate, intuitive language of the soul. Sadness, despair and fear can put you in touch with your heart and soul just as much as joy and bliss. The benefit that all emotions share is that they can get you focused on your body and your immediate “felt experience” rather than only listening to the mind. When focusing well on emotions, one is in the present – where you need to be to deal with life- rather than in the world of past and future that your mind escapes to. Feelings get us listening and learning not from mind, which can only remember, imagine and believe. They take us into direct experience of the here and now which is where intuition lives. Of course we prefer to feel good and don’t like those “bad” feelings, but they all lead to Soul. A Sikh master wrote, “pain is the remedy.” How so? Pain humbles us, opens our hearts and motivates change. It brings the surrender necessary to help you find new solutions. Pain makes you pay attention! When you listen to your emotions in a mindful and meditative way, when you approach them consciously — not as a slave nor as a controlling suppressor but as a partner – you are indeed listening to the wisdom of your Soul. Soul knows exactly what’s interrupting your flow of happiness and what you need to do to restore it. What does Soul feel like? It varies from person to person and time to time, but it always includes clarity and vastness. That opening comes sometimes from highs, sometimes from lows. Emotions can be just as chaotic and confusing as thoughts, so most of us need some training to be their partner instead of their slave. Learn to consciously work with your feelings to FEEL YOUR SOUL. This is the mission of Senses of the Soul. It’s simple to learn, and I am happy to send you “The SOS Method” and a short video series to learn it. Just email me at gurumeher@SensesOfTheSoul.com. Each year, I work with a small group of people to thoroughly train them in the use of emotions for healing, personal growth, spiritual transformation and self-mastery. That full training, Emotional Liberation, is starting now! This is advanced self-therapy. A proven structure to work through issues, heal traumas and make long-awaited changes. Self study, personal coaching and group support in weekly calls create a safe place to gain a lifetime skillset for emotional wellbeing. You are warmly invited to find out more about this method, the book and the upcoming course, Emotional Liberation, at www.SensesoftheSoul.com. “I entered this course with high expectations. I was surprised when the first thing I learned was that I don’t really work with my feelings. I do a lot of self-help courses and do all the work from my head in a way that actually make me feel worse about myself because I’m not what I’m supposed to be. But this work let me feel whatever I was feeling, and from that I could heal. It is a lifetime of work that I now have the tools to do. Today’s SOS thoughts come from Lisa! She is my assistant, protégé, and the person one person who understands, practices and teaches this emotional guidance work better than anyone. You have seen her on some videos, and will be seeing more of her around Senses of the Soul, especially at the Live LA event weekends, coming soon. How much of your time is spent being happy? And how much time do you spend feeling bad? Seeking pleasure and avoiding pain drive us, and happiness is something we all seek. But look at how much suffering there is. Why aren’t we better at solving this by now? No one has solved world hunger, war, disease and poverty; but why can’t we each solve the pain in our own lives? Emotions, especially those “unhappy” ones, are the least understood and most poorly managed area of self-awareness. Surprisingly, pain contains the remedy to your suffering? Many people find that emotions bog them down. They think if only they could live without emotions, life would be so much easier! Unfortunately, I found that when people try to eliminate their emotions, those emotions just get worse. Suppressing emotions does not work, and ignoring how you feel eventually makes you feel worse, where you remain stuck too long. It’s time to learn how to use your emotions as they were intended – to help you see the source of pain and guide you into peace. Although it can be a bit scary to allow and work with strong feelings, I assure you, you can handle it all. You are greater than your feelings and they will serve you when you take conscious control of them. The goal is complete safety to be you and to handle all that this world brings you. Central to this work are listening to yourself and trusting what you hear. That’s the only way to know your own limits while engaging yourself fully in transcending them. You alone can monitor and protect your sense of safety. Thankfully, the age of blindly following anyone or anything is coming to an end. Taking responsibility for our circumstances and taking initiative to improve those circumstances are vital steps to take better care of ourselves. You can do it, one feeling at a time. You may have the occasional bad day or bothersome incident and want to get over it. You may have persistent unpleasant emotions that seem inescapable. You may have shut down your feeling to survive. Maybe a desire for love and joy requires that you awaken. You may have suffered trauma, and that pain holds you back. You may have already worked on your past but want to get to a higher well-being. Perhaps you’d like a powerful set of tools to help others with their pain. No one can do the work for you but the information and is now available. Meditate! And include your emotions in your meditation. Get present and clear using any technique you know (Kundalini Yoga works fast!). Then invite emotions in by allowing whatever is troubling you to surface. It will feel bad at first, but soon you find a balance you can handle. Now the truth and soul’s wisdom can be heard when you simply as your intuition for answers. That’s the SOS Method! Simple, straight and always available within you. I can’t wait to share the incredible depths of this healing system with you this year, so we can all be in control of our happiness – one feeling at a time! If you want to really get it, join me and GuruMeher for the annual Emotional Liberation 2016 Courses beginning Feb 3rd (online) and 6th (live). Live or Online, support yourself with this powerful and proven structure of professional coaching, rich self-study and meditation practice, and friendly peer support to unlock the therapeutic power of your emotions. The future of therapy is self-therapy, the future of psychological healing is self-healing. Because we each have all the information about a situation, our needs and unique solutions already inside, we ourselves are in the best position to consciously correct. The job of therapists, counselors and healers is shifting to teaching us how to use our self-healing system. Information: Until we are all trained from birth to trust ourselves and use our intuitive knowing, we need to know what others have discovered through their own journey, trial and error. “Learn through time, or learn through a teacher.” They come in many forms: Self- Improvement books, spiritual books ancient and modern, classes, the vast Web. Your upbringing, even the best environments, brought you a narrow and biased slice of reality. Sometimes just one powerful quote opens the doors. Practice: Once you find some truth, you have to use it, apply it, make it come alive in you as direct experience. That gym membership card in your wallet, and great books on your shelf can’t do the work. Putting your focus and effort over time to polish away the cloudiness and pain, build resilience and strength… it’s a workout. Assets like Will, Discipline, Willingness are needed. But Courage, Love and Compassion may be more your avenue. Some of both are best. A regular, rhythmic personal practice is part of every path to skill and mastery. Don Juan said there are many different paths; find a path with heart, and follow it to the very end. Support: Steady constant development can be a challenge until a healthy habit is set. We all need structure, just like the timbers that hold up a house. You need to find the support that makes it all work and keep on working for you. Your own commitment is the foundation. That can come from pain or a driving desire for something good, or a simple knowing that something is right and must be done. Then you need clear actions, the actual “to do’s”. Next comes the time and place to do it. How do you fit it into your day? Sometimes hard choices are required to prioritize your well-being investments. To keep it all together you need outside support too: people who get you and what you are doing, who practice with you or cheer you on, who recognize your efforts and can see your gains. All of these elements can be found together in classes, courses and meetings whether private with a buddy, in local live groups, or virtual and recorded formats. Support groups are one of the best self-improvement tools discovered in the last century and are now in the web. Find what works for you, then work it! Inspiration: Some spark will have started all of this for you, and you will need to renew your motivation if you are to reach your self-promised land. The hero’s journey has many low moments that can derail the entire thing, or serve to refresh and renew. Inspiration can come from internal and external sources. At times your progress inspires and energizes, and sometimes you need some outside encouragement to keep up. You can have these known and ready in ample supply so you know where to go when you are low. They are constantly interwoven and may ebb and flow in changing proportion. Which of these 4 are strong in your life, and which are needed in greater measure? Assess where you are and how you are going to grow. When these are in place and working, you will see your self-healing power flourish. This is NOT a list of things to buy, clean, cook, prepare or even do for the holidays. This is a list for YOU and by YOU of sanity-saving Self-Care tips for the season. It doesn’t matter if you were naughty or nice. Feel free to get creative and add even more. Then print, post where you can see it frequently, and pass it along! ____Remember Your Breath. If you are feeling stressed and overwhelmed by family obligations and holiday parties, then turn to your breath. It is always there for you like a loyal, unwavering friend. From the very first moment of your life, your next breath is provided for you, without a thought. Be greedy with your breath and take in as much as you need to calm, clear and nourish yourself. You can also invite a friend, colleague, or spouse to take a few deep breaths with you! ____Be Generous to Yourself. During this season of giving, don’t forget about what YOU need. This does not necessarily mean to go buy yourself an expensive gift. For every external wish, there is an internal want. So take a moment and tune out all the external voices and non-stop holiday music. Get quiet, maybe meditate, then ask yourself, what do I really NEED? Listen for the voice inside of you. The answer may surprise you. Then take action and do what the voice says! ____Feed your Spirit. With all the socializing combined with stress, sometimes we self-sooth by overeating, drinking and indulging. So when you experience Hunger, Desire, Cravings or even Addiction this season, be sure to feed yourself with what you really need. So before you stuff yourself, see what Soul wants. Is it a hug, a phone call with a friend, to pet your dog or cat, or perhaps a moment alone? ____Get Conscious About Your Emotions. Spending time with family can be amazing but also challenging. No one can press buttons like the ones you love! If heavy emotions arise for you, like Anger, Fear, or Guilt, don’t suppress them, trust them. Of course, you don’t want to explode either. This may feel good for a few minutes but will not bring the results you want. So take a walk, do some yoga, and get conscious. This way you have the choice, and your voice, to use your emotions effectively. ____Take the Pressure Off. Sometimes our minds can conjure up what the perfect holiday should look like. Or maybe we saw it in a movie. Or we see someone else and imagine she has the perfect tree, haircut, family and life. But if we compare, we are doomed. This is the time to focus on what we have rather than what we feel we may lack. Take a moment right now to acknowledge the gifts in your life. You probably have more than you think! Perfectionism can be punishing and life is an ever-changing cycle. This Christmas or Hanukkah will be different than last and will definitely be different than next. The key to contentment is accepting exactly what is, right now. Here’s the problem with the holidays, and an invitation to solve it. There is a basic conflict in the way we have come to celebrate these winter holidays that creates stress and problems for a lot of people. I hope you’ll take a few minutes to understand this phenomena, with the goal being to find your own true way to the peace and joy we all need so much. All of non-equatorial life on this planet evolved to the cycle of summer and winter energies. When the sun is hot and the day is long, living things are busy and productive with the business of sustenance. When the nights are cold and long, living things survived by going inside, underground and dormant. This was a time to embrace the darkness, rest and conserve one’s resources to emerge with the returning of the light, restored and ready for the business of the warm months. This urge to hibernate also serves an important role in emotional cleansing and spiritual awakening. The slow, dark elements urge us to inner exploration, to release and resolve the many pressures of life for which there’s little time to process in times of great activity. But we are by nature afraid of the dark, and therefore of the depth’s of our psyche in the invisible world of all that we feel but cannot see. Our comfort zone is in the external, the physical, the busy and the bright. So human cultures developed traditions to keep spirits bright during the dark winter months with fire, lights, food, family, heightened by elevating stories and conversations of love all to feed the spirit. But maybe we went too far. We developed electric lights and 24/7 Walmart shopping opportunities, in other words, the resources to avoid the darkness. We find ourselves getting super busy when nature is inviting us to be quiet. Social coziness becomes social demands. Simple sharing becomes lists of stuff to do and to buy. Gratitude becomes obligation. And exhaustion replaces restoration. Any interest was lost, stress is the cost. Love and joy need a source of fuel just as your body needs calories. When a person is tired and at the end of their resources – physically, mentally, emotionally or spiritually – she or he is in a survival mode in which generosity of the heart runs out of juice. When emotional batteries are drained, we can’t force and artificially create good will. Rather, it must flow naturally. So my challenge to you is to examine this conflict within yourself, this misuse of resources. How will you find your balance this winter in this holiday season so that your spirit shines forth warmly and naturally? Please send me your ideas about how you can, or begin to, find your natural rhythm and restoration of the Spirit. Next week I will share your ideas with everyone along with my own. Together we can forge our own spiritual traditions to create, at least for ourselves, peace on earth. I hope you get along great with your family, but in that crucible of survival many habit-forming harms happened. Even if outright abuse was avoided (and the statistics are sad), our subconscious holds the shocks and shapes our lives to react like tsunami survivors. Many of us return to ground zero this time of year, so gear up for those triggers and know how to become immune. That is, to live as you, free of the fear and smallness you once (and may still) live with. Studies of disaster survivors reveal the 9 key traits and abilities that determine who dies, who survives, and why. These apply to all of us. It turns out that all of them are skills we practice in Senses of the Soul! You are a survivor of your own history. Here are the factors proven to be essential for survival and recovery. – Be present and self-aware in your body and senses versus checked out and lost in thought and emotion. In order to take care of yourself, you need to be mindfully in touch with what is really happening and what you need. Awareness precedes effective remedy. – Humbly respect the powerful forces in and around you and respond accordingly versus careless, arrogant, ignorant, naïvete. When you don’t underestimate or ignore the impact of events and your own feelings by trying to muster on like nothing’s wrong, then you can be honest about the harm, the pain and the desire to be strong. – High level of Self-care, kindly & compassionately attending to our own well-being versus neglectful, care-taking-of-others, doormat or martyr behavior. Enough said. Take care of yourself. Compassionately know what you feel, what you need and figure out how to get it. Catch up with neglected needs, then take care of new situations in real time. – Take Responsibility for your situation, taking initiative to solve versus blaming, complaining or waiting helplessly for someone to save, fix, or take care of you. When you sit still, go inside, allow and confront consciously the darkness and pain inside, do all that you can to deal and heal yourself…you are always rewarded with relief and elevation. By practicing yoga and meditative exercises that challenge our body and confront our imagined weaknesses, we proactively take on a body/mind fitness training that repeatedly shows we can handle ourselves. This builds strength of will, trust in ourselves, and reserve capacity to call upon when hard times hit. – Hope and Purpose; a reason to live which will sustain us and give extra energy when times are tough. When you are in touch with your deepest longings and needs and your highest aspirations – the soul’s purpose – you will never be without motivation and hope. This take patience, practice and subtlety to go deeper that the many daily emergencies of the earth. – Connectedness versus isolation and loneliness. Our primary work is to be connected to ourselves for emotions and soul. This is the most reliable and highest form of connection, and makes it easier to connect to everything outside ourselves. – Locating our self, Knowing that we have a place and where we are in relation to everything else. With SOS we do this continually, to know what we’re feeling and why, and we discover a greater sense of the vastness of the universe and our very important place in it. We create a sense of safety not from the world alone but within ourselves. – Managing emotions versus getting lost in them. Well, this is our entire Senses of the Soul skill set. So for your holiday survival and healing, practice these, starting with what ever is most missing from your repertoire. Stand strong at ground zero and heal thyself! If you would like a hand’s-on results-guaranteed training in these skills, join me for Emotional Liberation 2016. And be happy these holidays by removing whatever is blocking it! Do you know about the “Bliss Point”? It is a combination of sugar, fat and salt that food scientists have found to be totally satisfying to the human tongue. Every fantastic meal you’ve ever had in your life, from the Salmon en Papillote at that five-star restaurant to your grandmother’s Thanksgiving stuffing, was crafted on that special Bliss Point balance. If feels good to be fed in this combination! There is another kind of Bliss Point in this life. Yes, you know the kind I mean- Spiritual Bliss. Just as you are wired to crave sugar, salt and fat, you also have a deep longing for that ultimate sense of well-being, that feeling of being totally at HOME in the Universe: Bliss. As a term, Bliss has been used so casually it may be thought of as something trite. Phrases like “Follow your Bliss,” or, “Blissed out,” make the experience sound like something you can find while flipping through a magazine. Let’s get clear on what Bliss really is. Bliss is a well-defined State of Consciousness (See Power vs. Force by David Hawkins). Described classically in spiritual literature, Bliss is physical-mental-emotional- spiritual experience of Peace, Love, Clarity, and Vastness. Beautiful, isn’t it? The achievement of Bliss is possible but it is, in fact, a relatively rare in human experience. True Bliss isn’t as easy as the food chemist would have you believe. You can’t just grab a snickers and call it a day! · Anger, Depression and Grief. Which is what we do in Senses of the Soul. Most real Bliss methods take time and the short-term experience may be more uncomfortable than pleasant. So start a spiritual practice, deal with unresolved issues, work with your emotions, heal relationships, practice self-love, serve others, get your finances in order, clean your clutter. All self-improvement are steps on this path toward the real bliss. This requires discipline and commitment over time but it will give you the experience you seek. When, through deep commitment, you can go beyond the focus on the self to transcend the limitations of personality, the experience of unlimited Vastness and Freedom become very available. Your mind becomes quiet. You listen deeply. You gain clarity. You become neutral. And as these elements become stable and deeply grounded as your predominant and unshakeable experience, they mature into Bliss. That alluring blend of Peace, Love, Clarity, and Vastness: Bliss! Here’s a closely held belief about emotions: they get out of control. Every felt that way? Who hasn’t? Whether it’s having a blow-out with a family member over something that, on the surface, seems all too insignificant. Or harboring deep hurt and resentment in the workplace for personal some slight you perceived. It can sometimes, or even often, feel like emotions take over and start running the show. If your a conscious person, this experience can be pretty uncomfortable. You regret the way you behave when you have strong emotions. You feel shameful of the way you lashed out at your partner, or the way your depression is spilling into your friendships. So that you don’t have to have these overwhelming outbursts, you cut your feelings off. What else can you do? They are out of control! Here’s the truth of it: Emotions have a primitive nature. They arise automatically from our instinctual selves. But they don’t have to overpower you. In fact, when you learn to relate to and direct your intense feelings, you can actually harness great power. To be the master of your feelings, you must understand their job and let them do it. Just like you don’t want your Emotions ruling you, they don’t want you ruling them. Nobody likes a tyrant. Your feelings have a message for you. Sitting, Breathing, Listening, Consciously Cooperating and the Guiding your feelings is the way to emotional healing, clarity and purpose. Because with the right fines, your feelings become workhorses for your wellness. So here’t the real truth – you may think emotions can control you, but really emotions are controlled by your Awareness! How have you been feeling lately? What are you feeling right now? Anxious about a job? Sad or Depressed about a fight you had with a loved one recently? Frustrated by a problem you can’t seem to solve? The flow of emotions is constant, up and down, mild and intense. But know this: The painful is ALWAYS your guide to the pleasant. Just yesterday I heard, “Emotions wreak havoc on my energy. Fear make me run around crazy. Next I’m hot and angry, picking fights with everyone. Then really low, feeling hopeless about it all. It’s a roller coaster to hell with no clear way out.” Yes, Emotions bring you very specific qualities of energy; and that is a key to putting them to work solving your problems. As I mentioned in the last newsletter, emotions have primitive energy that, without awareness, can take over and run you ragged. The testimonial above from a client of mine is common. And have you ever noticed that when the problem you are facing gets bigger, your emotions around it get more intense? It can be a draining and confusing experience. But I’m here to tell you that you need not disintegrate into an emotional mess! Emotions bring you the right energy of the job. Need to look for a new job? You bet your anxiety is going to get larger as the problem persists. Youneed that amount of intensity to motivate and support your search! Need to take some time for self-care after an intense confrontation with a loved one? Your sadness creates a quiet, inward-looking space conducive to reflection and healing before moving forward. You can solve everything in your world – literally everything – when you feel your feelings and understand them as a source of information and energy you require to change the circumstances that created those feelings. Fear gives you the energy to wake up to danger. Sadness slows you down so you can let go. Anger brings the intensity to act with integrity and intention. To heal and resolve you troubles, these are the best and most immediate tools you have. So begin to work with the type and amount of energy in your emotions. they will always be just what you need, when you can read and utilize them. Hi, GuruMeher. I’m curious. I’ve noticed that the dominant thing I’m feeling today seems to be “boredom.” But I don’t think boredom is an emotion. How can I dig deeper and find the emotion? I’m sure a lot of you feel this way sometimes. You’re not exactly sad or discouraged, but you feel uninspired by life. This concerns you because you believe that you should feel more joyful, engaged and excited by things. I understand. Boredom isn’t an actual emotion so to speak. Boredom could be more classified as an energy. It’s is a slow, inward reaching vibration that has elements of apathy (commonly called Depression), sadness (Grief) and inadequacy (Fear). Unaddressed, boredom can progress into actual Depression. However, on it’s own, boredom is actually quire useful! When approached with awareness, Boredom leads to Peace. I spent years working with a coach to help me with what I like to term a “raging workaholic” problem. After a working together for some time, we were successful in reducing my workload and “unhooking” from the subconscious drivers of my need to work endlessly. It felt great! But then came the day I felt bored. “Boredom is the Gatekeeper of Peace,” the coach had said. That notion made no sense to me at the time. Feeling bored was scary. What if I never achieved anything again? I’d been so amped in my workaholic mode that this neutral energy I was now living in felt dangerous. I was tempted to throw out all the progress I had made and go back to my old ways. But I decided to try this idea of Boredom leading to Peace and see where it took me. It worked out! When I allowed Boredom to become Peace, I got comfortable moving more slowly. The feeling boredom actually lead me to deep clarity about what was most important to me and how I really wanted to spend my time. Tasks became manageable and I was even able to accomplish more than I had before. In place of adrenaline rushes, I began to experience tranquil satisfaction. ARTICLE: FALL BLUES OR BLESSING? Seasonal changes. Have they hit you this week? Or does your mood begin to swing with the first cold snap, shorter days, and back-to-school memories? As the vibrant, high energy of summer fades, the quiet, subdued tone of fall can come with some melancholy. You may have had a fun summer, enjoyed adventure and expansion. You may prefer your freer lifestyle activities to the busy focus of the fall. You miss those good times and want them to continue, and that can bring a tinge of sadness. Time moves on, and this “bummer” experience is actually natural and meant to help you grow. The bittersweet feelings of the transition into fall help us to do something wonderful. They help us to recognize our values! Maybe you valued the time you had to engage in self-care activities like sleeping in or going to the beach. Perhaps it’s that element of adventure that’s really meaningful. It could be the time you got to spend with friends and family. Heck, maybe you just like the quality of summer sunlight more! Whatever it is that you really loved about the summer time, let that love be a permanent imprint on your heart. Then let that heart-based value system flow into the fall. When you identify and relate to the underlying qualities in experiences-their inner essences-those essences are abundantly available within other experiences too! A great practice would be to spend some time going over your favorite summer memories, dwelling and enjoying each one. Then, take that joyous energy and apply it to the fall. How can you enjoy the soft, cozy mood of fall, even though it was such a contrast to your energetic, extroverted summer? What I love about this process is that it’s the same for any change. Whether that be the change from one job to another, from living in one city and then moving or even the change of going from single to in a relationship, or back to single!. It’s the process of enjoying life on both ends! Nothing lasts forever except for the soul. Even the most delicious meal only tastes good when we’re hungry. The only way to get enough is to relate to life from the soul perspective. Then every experience is a treat! I recently received an email that blew me out of the water. It reminded me of why I created SOS . We all have the ability to use our heavy emotions for strength and healing, but most people don’t know it yet. My mission for SOS is that whenever we feel bad, we can know 1. What we are feeling, 2. Why we are feeling it, and 3. What to do about it to feel better. I want to contribute to people’s emotional wellness as well as to the health and well-being to the world. I have a very specific vision for world peace – that we all take control of our own happiness. That requires thoughts and emotions – our inner life – to serve us. When we create the circumstances where our emotions serve us, rather than sabotage us, we eliminate suffering. How can you truly suffer if every bit of pain actually serves to bring you to your highest happiness? That’s what SOS is all about. So it is encouraging and makes me happy to hear that people are gaining these skills through the SOS method. I received the incredible message below in response to last week’s video. to bring me insight, clarity, and peace. way or even a certain person for my mother. I just need to be myself. extravagant meals. I am tired and I want to just be, to just be me. I can feel more peaceful. I love the simplicity with which we can know how to find peace.. Do you see how this SOS practitioner 1. Stopped to feel, 2. Discovered why she was feeling that way and 3. Discovered what to do about it? The 4th step in the healing process is to take action on that inner guidance and I’ll be talking about that in this week’s Google+ Hangout. This Friday’s hangout is the fifth in a series that together are a total introduction to the SOS method. I hope that this message inspires and encourages you as it did me. In just 12 minutes, with this simple SOS practice, our friend was able to deal with deep feelings of depression and anxiety, some of which stemmed back all the way to her childhood relationship to her mother. It’s pretty wonderful how healing can happen so fast and be so profound. Imagine the impact that will have on the planet when enough of us know how to move quickly from upset to peaceful. to us. And that is where we must start. This means that, come what may, a person can create a good life, can find peace and happiness. You can’t change a traumatic past, but you can use it to heal and grow. Why you are feeling it. What to do to feel better. How to take that action. …So that you feel bertter. Repeated often enough, you will be in good shape… happy within the past or present that you cannot change, having acted to change what you can. This is why I am so eager to bring Senses of the Soul to all who will use it. It gives you so much control of that inner life, BUT we control emotions by allowing them to work – not repressing them. Putting these three ideas together, we see that we can find our way to happiness through our feelings. I felt a great sadness from the recent death of my grandmother. Then came suddenly a memory of feeling abandoned in my crib as a baby, and crying. I felt so unwanted and unloved. I saw that it has seemed that way ever since, whether in or out of an intimate relationship. So sad to realize I never found the love I needed. I realized that my grandmother was the only person in my life that I ever felt loved by. I traveled back as my current self and held my infant self. I just gave myself the love I had been wanting for so long. So simple, now I know I can give that to myself all the time. The woman above couldn’t change the past, and can’t make anyone love her. But by the smile and peace on her face. I can tell you, she was able to get the love she needed. Love was within her inner control. This is how trauma is healed: when you can do for yourself now what you couldn’t do then. When you can get what you need now that you couldn’t get then. We are all recovering from something that life brings, always learning to rebound from challenge and change. So in this new partnership between you and those who help, the responsibility is shifted to you, and with it, all the power to access the answers unique to you. Training is still needed. Teachers can help you obtain the four things you will need on your journey: Information, Practice, Support, and Inspiration. Support: Steady constant development can be a challenge until a healthy habit is set. We all need structure, just like the timbers that hold up a house. You need to find the support that makes it all work and keep on working for you. Your own commitment is the foundation. That can come from pain or a driving desire for something good, or a simple knowing that something is right and must be done. Then you need clear actions, that actual “to do’s”. Next comes the time and place to do it. How do you fit it into your day? Sometimes hard choices are required to prioritize your well-being investments. To keep it all together you need outside support too: people who get you and what you are doing, who practice with you or cheer you on, who recognize your efforts and can see your gains. All of these elements can be found together in classes, courses and meetings whether private with a buddy, in local live groups, or virtual and recorded formats. Support groups are one of the best self-improvement tools discovered in the last century and are now in the web. Find what works for you, then work it! Information, Practice, Support and Inspiration…They are constantly interwoven and may ebb and flow in changing proportion. Which of these 4 are strong in your life, and which are needed in greater measure? Assess where you are and how you are going to grow. When these are in place and working,you will see your self-healing power flourish. Pain is a certainty; suffering is optional. You may have heard this; I’d like to help you live it. As a birthday gift to myself I went snowboarding yesterday. After a beautiful morning on the slopes I crashed and injured my head, wrist and ankle – ski patrol toboggan-ride down the mountain and all. An afternoon in the emergency room for x-rays didn’t ruin my day, it just changed it. My body hurt/s and I lost the expected fun, but I chose to be grateful for an afternoon of love and care from friends, nurses and doctors. Too late to avoid the pain; s*** happens… and it did! But rather than beating myself up over my bad luck or how I could have avoided it (no longer an option), I did have a choice to love my body even with its injury, and appreciate how it works so well and is already healing itself. Emotional hurt works the same as physical trauma. Life will bring events that evoke fear that shrinks you, cravings with their pleasure and pain, anger that can hurt and isolate you or others – and they are painful. But they are not meant to make you suffer. Just like the nerves in my leg, emotions bring your attention to the source of pain so you can relieve it. Fear alerts you to danger, cravings to a need, and anger serves to protect you or get what you need. Suffering occurs when you don’t understand the source, or heed the call, or respond. So don’t just endure painful situations, disturbing patterns, unsatisfying relations, or any uncomfortable emotion. Use them to guide you to healing, strength and happiness. It’s your natural sensory system; simple to learn to use it well. Find out for yourself that Pain is part of life, but you have a choice about the suffering. reborn, renewed or replaced, but grief doesn’t see that. focusing on other important values. Anger- it’s how you stay safe and handle everything this big world brings. You’d be dead without it! Anger is a form of personal power, it’s the fire in the belly that burns food into movement and gets things done. Anger isn’t good or bad, it’s how you use it. History, including yours, is an education in the use of anger/power, which we experience in 3 forms: weakness, force, and flow. You first learn about anger through its absence. Believing you have no power, you are taken advantage of and unable to take care of yourself. Without the energy of anger you’ll feel weak, incapable, helpless, victimized, and hopeless. But this lifeforce is always present. When repressed it emerges as resentment, passive aggression, and self-defeating behavior. Safely access anger-power by strengthening your navel center with yoga, martial arts, exercise. Befriend it in therapy and meditation. Use it to express needs, make requests, and set healthy boundaries. Power and protection lie in using your voice, making choices, and taking action. From the first “No!” in the “terrible two’s” to the cruelty of tyrants, the discovery of Force is followed by the learning process of its use and abuse. Expressed as rage and violence, it damages and destroys. But harnessed as determination and drive it motivates effective action and accomplishment. By trial and error we learn that anger channeled into empowerment brings protection and peace. Learn to process it consciously by understanding what is bothering you, what you need, then taking action to handle it. Conscious use of power brings high levels of wellbeing, contentment, and generosity to serve others. Gratitude and humility follow, leading to the experience that power is not yours, but moves through you. Allowing the universe to take care of things brings access to the power that moves the galaxies. It cannot be gained by force, but is awakened by acceptance and trust in life’s flow. What have you learned about anger/power in your life’s study? Using it ever more skillfully brings the ability to thrive within life’s challenges, and the ability to fulfill your purpose. That freedom is the magnificent gift of Anger. Use it wisely!